Frozen pipes cause water damage costing untold sums each year. 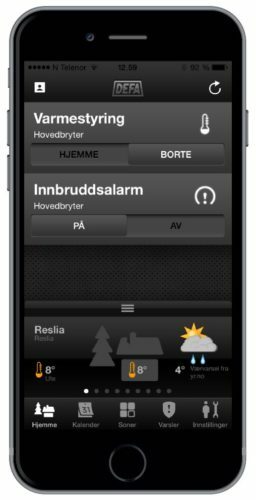 Keep the ice away with frost alerts and full control over the cabin heating. Having running water in your cabin gives you a few extra things to remember. Leaving water in the pipes might cause them to freeze and burst. When the ice melts, the water comes pouring out, causing significant damage. Since you’re often not there to keep watch, the water might keep flowing for a long time, and floors, carpets, furniture and electrical appliances may all have to be replaced. The worst years for insurance payouts so far have been 2009, 2010 og 2011, when large parts of the Nordics experienced bitter cold for long periods of time. Insurance payouts also go up as the standard of cabins increases. The years from 2000 to 2013 saw an almost two-fold increase in payouts. One way to make sure your pipes won’t freeze is to use a temperature sensor. 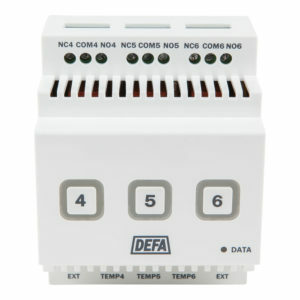 A temperature sensor allows you to monitor the exact temperature both inside and outside your cabin. SINTEF Byggforsk recommends that you keep the temperature above 10 degrees at all times. 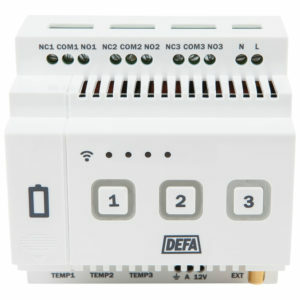 DEFA Cabin Control allows you to get alerts when the outside temperature drops, so that you can act adjust the heating. Close the main stopcock valve and drain remaining water from the pipes. Always leave a little heat on in the cabin. The temperature shouldn’t sink below 10 degrees. Any less and your insurance company might cut your compensation in the event of frost damage. If below zero temperatures are on the way, you should put antifreeze in the sink traps, in drains and in toilet bowls to keep them from being broken. Agree with neighboring to keep an eye on each others cabins. Pay attention to the weather reports for the area where your cabin is located. If the temperature is about to drop, it might be a good idea to increase the temperature in your cabin.